Have you ever placed an order for flies for the upcoming season and later find out they are on backorder for the most coverted and/or treasured secret fly of your best water? On more than one occasion, my clients seem to donate more Hendrickson’s and Copper John’s to the various large woody debris found in our rivers than I can possibly keep up on tying while burning the midnight oil. I will often order stand-by fly patterns that I need to bring the fish to the net for my guests. It is out of necessity that I can not possibly tie all my flies and the same high level of standar and principle that Umpqua Feather Merchants has signed a very large deal to keep up with the increasing demand for quality flies. 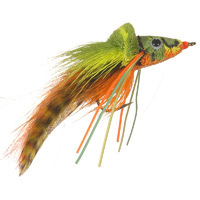 LOUSIVILLE, Colo. (September 10, 2013) – Umpqua Feather Merchants, the world’s largest manufacturer of premium quality fishing flies has entered into a long-term agreement with a well-established fly factory in the Philippines. From Bass to large toothy Pike, Umpqua has your fly. This marks the third new factory addition for Umpqua in three years. 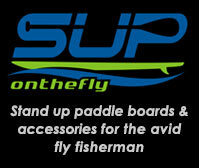 “It’s no secret 2013 has been difficult due to the failure by fly suppliers to meet industry demand. Umpqua takes this very seriously and will continue to aggressively follow our expansion plans to meet the industry’s needs.” said Jeff Fryhover, President & CEO. “We were very fortunate when this well established, high quality factory contacted us a few months ago. Unfortunately, they had been left in a very difficult position and our new partnership will enable them to continue focusing on tying great quality flies and enable Umpqua to focus on meeting the needs of the industry and helping dealers get back to healthy inventory levels.” said Fryhover. Umpqua will begin distributing flies from their new Philippine partner as early as October. Hopefully, this will get some of us caught up on all those #20 BWO’s and #14 parachute Adams.